Visit the showroom in Hampton! Euro Windows (UK) Ltd. trading also as Euro Glass (UK), offers variety of products in contemporary doors, windows & glazing solutions. Our extensive knowledge in key products allows us to provide you with additional advice to assist you in making your decision. Once we have discussed your specific requirements during our initial consultation, we then provide you with a free of charge estimation. With experienced staff and in-house manufacturing facility, we manage your project from initial consultation, right through to manufacturing, delivery and final installation. At Euro Windows (UK) Ltd we ensure peace of mind to all our clients, you are in good hands. We are here to help and work alongside you to further enhance your living space. Actions speak louder than words, to build more confidence in us view our completed projects and read testimonials from our clients. Discover our project gallery and see how our products can improve the aesthetic of modern houses. Josko is among the leading manufacturers of Eco and Passivehouse windows and doors. In terms of design, innovation and quality Josko has continuously set new trends and benchmarks for the whole industry. Today we are a full-range supplier of windows, all-glass systems including lift-and-slide-doors, front and interior doors, sun shading solutions as well as natural wood floors. Our premium products are developed and manufactured in Austria. We are driven by our passion for technology, innovation, design, ecological awareness and creating lasting value for our customers. Josko's vision is rooted in over 55 years of craftsmanship. We believe in: * Continuous innovation * Smart technology * Affordable quality * Timeless, beautiful design * Sustainable production * Future-focused living concepts The complete Josko product range matches in terms of design, symmetry, colours and materials, which allows you to harmoniously combine your windows, front doors, interior doors and natural wood floors. With a passion for detail, the Josko Smart Mix creates an unprecedented warm and cosy atmosphere that appeals to all the senses. Wood is selected and processed using traditional craftsmanship, refined with special oils and colour matched with windows and doors. This combination allows one complete aesthetic experience for your entire home. Josko has been a pioneer of all-glass systems since 2004. With FixFrame Blue Vision, Josko sets a new architectural standard in terms of performance, aesthetics and versatility. Offering an uncompromising, truly frameless design that allows for full-height solutions and passive house-grade thermal insulation and weather tightness. Sheerwater Glass is a family run business with over 40 years experience and pride ourselves on our strong reputation and excellent customer service. We specialise in all aspects of glass and glazing ranging from large house renovations and commercial projects to door repairs and splashbacks. Our loyal and experienced team enjoy working closely together to ensure every job is carried out to a high standard, providing our customers with a personal and excellent experience. Exact Architectural Glazing is a family run business, providing exquisite, innovative glazing solutions to enhance the natural light and space of your property. From project conception to installation, our premium glazing products including roof lanterns, bifold doors, sliding doors and walk on glass will help you to realise your vision for your home. Whether you’re looking for a complete transformation or a smaller project, well-planned and expertly installed glazing enhances the look, feel and use of your space. Whilst we focus our operations within the below areas, we would be happy to chat to you about your project outside of these areas. Sieger® Aluminium Systems are the first choice for architects and discerning individuals looking for a modern and high-performance solution for their aluminium windows and doors. Through every component of a Sieger® product architectural design is at the forefront. All frames are designed for the most minimal solution whilst maintaining impressive performance. The range available from Sieger® includes windows, doors, bifolding doors, facades and sliding systems. Each system from the Sieger® Range has been designed with outstanding levels of engineering and come with proven test results for your peace of mind. If you are looking for shorter lead times, thinner frames and higher performance ratings for your glazing systems, the Sieger® Aluminium Systems adhere to the highest levels and standards in both durability and thermal insulation. 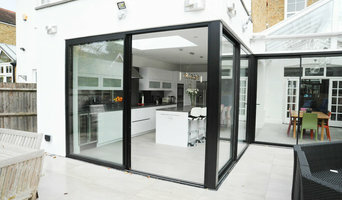 You can expect an aluminium glazing installation that performs remarkably well for the entirety of its installation. The team behind the Sieger® Aluminium Systems are dedicated, talented and highly qualified professionals with a wealth of knowledge and experience in aluminium system design. Sieger® delivers an unrivalled service and strives to be at the forefront of all new glazing system advances. We specialise in the supply and installation of custom made Minimal framed sliding patio doors with just an 18mm interlock that can be upto 18 sq metres per panel & also an invisible track option which looks stunning. We also supply and install structural glass roofs & roof-lights, bi-fold doors and walk on glass... along with an extensive range of balustrades, juliette balconies and bespoke aluminium & glazing solutions. We offer high-quality bespoke timber and aluminium windows and doors. Our windows are built and fitted by our in-house team of carpenters and professionals manufacture and install them across London. Our team has over 30 years of industry experience and all of our products come with a 5 or 10 year insurance backed guarantee. We pride ourselves on providing top priority to customer satisfaction with regard to price, and to the quality of products and services. Whether you have a new build or need windows to match a historic home, we can help! Read our reviews to hear what our customers have to say about working with Nica! We look forward to helping you with your next project and promise to make it an enjoyable experience. Give us a call today! 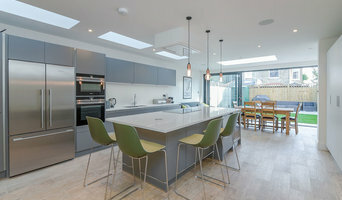 Dworks LTD specialise in creating the highest quality windows and doors and bespoke joinery products Based in West London, our team of experiences craftsman specialise in the design and installation of high quality windows and joinery at reasonable pricing. Whether it be one of our off the rack options or made to order timber windows you can be assured we'll deliver great results. Trust us to make you your dream home! Call us today! 1st Folding Sliding Doors combine expert product knowledge & personal service to bring you cutting-edge solutions, to finish your ideal home. From installing specialist bespoke sliding doors, bi-folding doors, glass roof structures, to manufacturing & installing our virtually frameless 20mm sliding doors, our glazing solutions will seamlessly bring the outside in. The personal service delivered by our staff will give you confidence in us handling the project from concept to completion. What's more our extensive experience and technical support will reassure you that you'll be getting the best overall package available in the market today. We have the ability to manufacture selected products in as little as one week. For a quotation, contact us today! We produce and fit windows, door and stairs for more than 12 years. We have industrial facilities for production including factory spray finish and very talented craftsmen. We are committed to deliver the highest quality that remains consistent in years. We guarantee from start to finish because we produce and we fit. Our windows outperform all British standards and building regulations. We look forward to working with you! What can specialist window companies, glaziers or window fitters in Cobham, Surrey do for me? Specialist Cobham, Surrey window companies and fitters can diagnose problems and prescribe a choice of remedies, while keeping in mind factors such as the style of your property, ease of operation, budget, noise reduction, thermal efficiency (the lower the U-value, the better), durability and maintenance. It is a balancing act that only a glaziers can deftly strike. Most Cobham, Surrey window companies will be able to take care of both supplying and fitting your new or replacement windows, but if you have already purchased your windows from a window manufacturers then you can find a Cobham, Surrey fitter to just take care of the installation. Where can I find the best choice of Cobham, Surrey window manufacturers and window installers? Right here on Houzz. Look for Cobham, Surrey Windows & Double Glazing professionals in the Find a Pro category and then save images of window styles you love in an Ideabook. Take time to look through each window company’s profile and get a sense of where their strengths and specialisms lie. Make sure your window manufacturers’ work comes with accreditation: whether from FENSA (Fenestration Self-Assessment Scheme), FMB (Federation of Master Builders) or TrustMark. Find window companies and glaziers on Houzz. 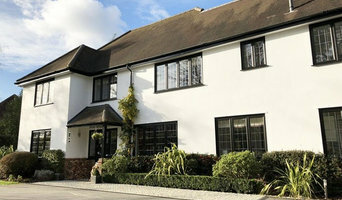 Narrow your search in the Professionals section of the website to Cobham, Surrey window companies. 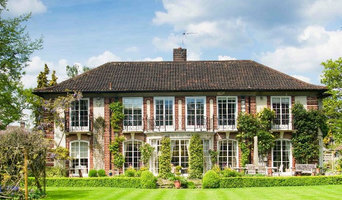 You can also look through Cobham, Surrey photos by style to find new and replacement windows you like, then contact the glaziers, window manufacturers or companies who installed them.